The drama at the FBI certainly is topping the headlines. With husbands sleeping with other men's wives and the other way around in the uber moralistic FBI, one would think that Soddom-on-the-Patomac might be a better way of thinking about it. 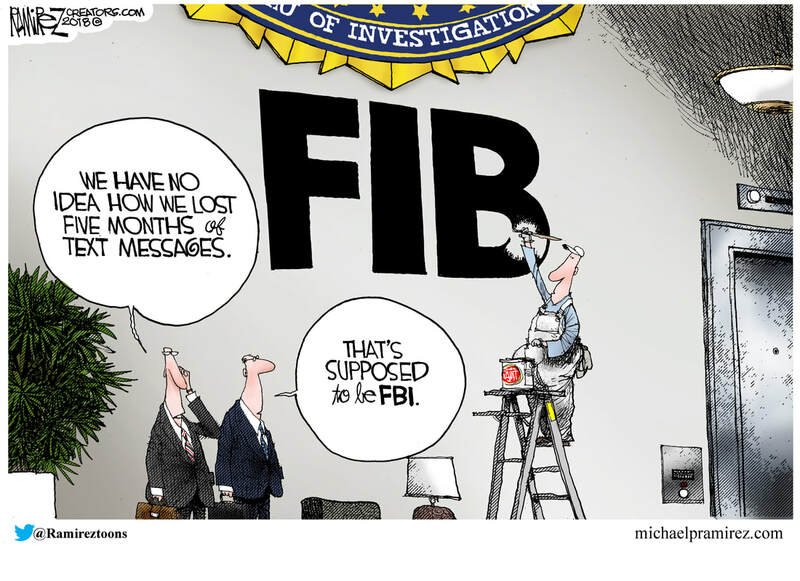 Then again, the FBI tries to paint an image of itself that is not in keeping with a bunch of barely competent, scheming bureaucrats working on a coup d'etat. Maybe they need to commission a new TV show about how cool they are? No, not a reality TV show, some sort of Hollywood fantasy FBI production that makes them look honest and honorable. Former director Mueller is trying to set up a situation where President Trump is found making inconsistent statements. Those statements would be construed to be 'obstruction of justice'. That would generate (Mueller/Comey and other conspirators hope) impeachment proceedings in Congress...maybe. 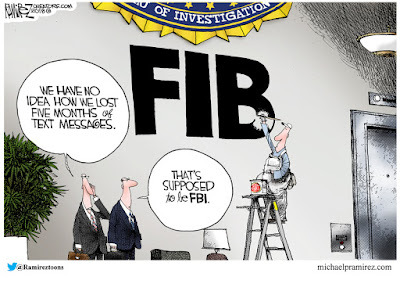 You'd think that members of the FBI would work to stop the disgrace, but that doesn't seem possible at this point, does it?